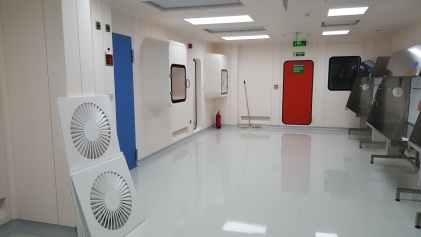 e-bbex is a company specialized in testing, commissioning and validation of Clean Rooms and sterile areas. 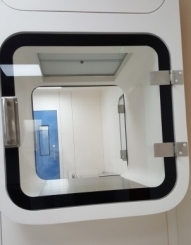 Our company provides validation of Clean Rooms, clean air equipment, microbiological safety cabinets, pharmaceutical and patient isolators, fume cupboards and laminar flow equipment. Being an independent service and validation provider, we guarantee and entirely unbiased report on the facility and/or the equipment serviced. All of our testing methods comply with the current ISO standards and GMP requirements, being supported by a full method of statement and calibration certificates for the test instrument being used. Our on-site service is backed up by a highly efficient report preparation, which ensures reports are issued promptly after works have been carried out. To reach the desired cleanliness level, the achievement of Airflows is essential. 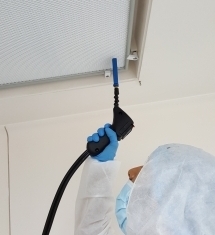 We offer highly trained personnel to check that your engineers have achieved your design values within Clean Rooms, including balancing advice and guidance which will help you ensure that you comply with your URS/RDS and that the HVAC is running cost effectivly for your Clean Room. 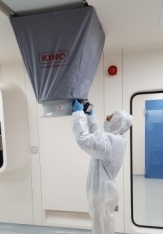 The Commissioning process starts once the Clean Room installation is completed and assesses the design completion in terms of requirements, performance, operation and maintenance. Installation Qualification ensures that the installation of the equipment is accurate by comparing th existing system against the design and the manufacturer’s specification. It provides a complete documentary record of the installation. The objective of the Operation Qualification is to check those operational aspects of the HVAC system that are deemed critical to its satisfactory performance and compare the data obtained with approved specification and current GMP. Prior to this, it should be confirmed that all critical instrument have been calibrated for performing the OQ test. The Performance Qualification is undertaken once the OQ has been completed within the time specified between the clients and ourselves. Not all tests undertaken in the OQ need to be retested for the PG, only those tests deemed critical and which can show that the system can run within the design criteria on a continuous basis. For PQ tests it is essential to demonstrate that the process or equipment performs as intended in a consistant manner over time. 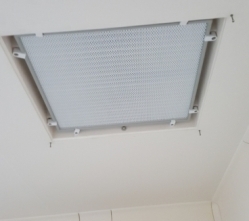 A Filter Interity Testing and Particle Counting test program is required to confirm if the classification of the Clean Rooms remains within the specified ISO classification. Typically the Airflow Volume and the Air Velocity should be confirmed at least once every 12 month period. The Differential pressures shall be confirmed at least once every 12 month period.